The Sony Walkman was introduced on July 1, 1979 in Japan and it was a major breakthrough in delivering a low-cost portable stereo. It wasn’t an overnight hit though, it was largely panned by the media and only sold 3,000 units by the end of July. But Sony kept on pushing, targeting the Walkman toward the younger market and advertising it with younger pop stars. By the end of August, sales increased 10-fold and later in the early 80’s it became the must-have item for everyone. Over its 30 year history of the Cassette Walkman, Sony sold 200 million units. A portable music player became a part of our lives, largely because of the Walkman. It’s amazing to not think of the Walkman when it comes to portable music players but the introduction of the iPod and iTunes and the iPod’s ensuing dominance has pretty much phased that idea out. 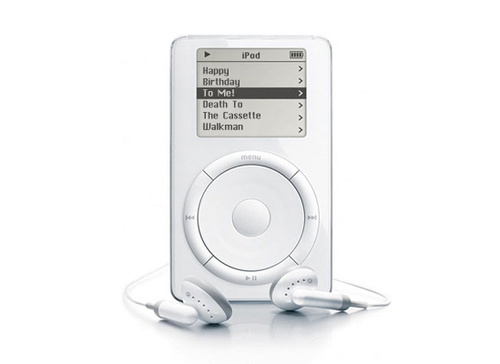 The iPod was introduced on October 23, 2001 and though also originally ignored, the iPod has grown at a ridiculous rate and seamlessly moved on to various versions, different form factors and more power and capability. A portable music player couldn’t just be a music player anymore, largely because of the iPod. *Yes, Sony announced they’ll stop manufacturing the Walkman on October 22, 2010 and the original iPod was introduced on October 23, 2001. Close enough.